ok here’s a video on how to bleed the cooling system,,,remember you must have the door latch lock and do not grab the door handle and unlock it,,,once the door latch open up the water pump will stop bleeding,,,because the door is then open. Reminder the water pump will cycle,,,it will pump water and the stop and then start-up again,,,,that is all normal,,,the water pump will cycle a lot,,,,if it doesn’t bleed,,,remember try the bleeding again with the a/c button on,,,,after it bleeds for a while,,,,top off the coolant and go for 2 mile test drive,,,,after test drive check water level,,,,you might have to add water that is normal,,,,don’t worry sometime it takes a couple of times. This entry was posted in Uncategorized and tagged coolant, water pump bleeding. Bookmark the permalink. Hi Andreas, i have made the experience on my F13 (N63) that only a refilling of coolant under vaccum removed the water noises in the heating. On the E92 N51 motors, how would you drain all the coolant out? I know how to drain from the radiator, does it also have a drain on the block? My goal is to drain as much as possible because someone put the wrong kind of coolant in. Also anything else I have to do to bleed besides cycling the pump? Thanks so much! I thinks it’s a good idea to perform a coolant flush,,,,and put the proper coolant back in which should be blue in color from BMW . 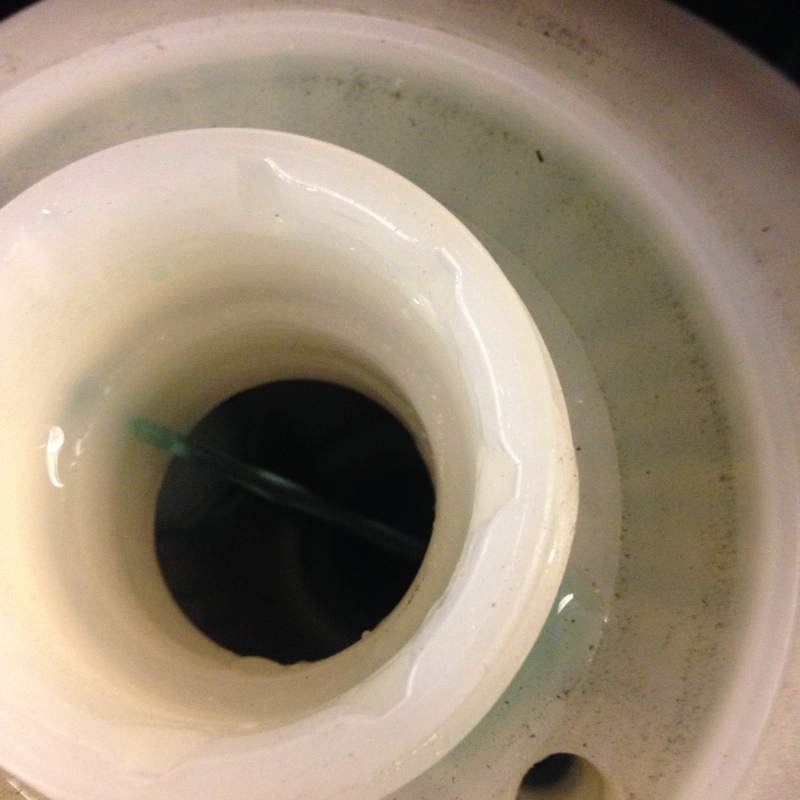 Usually does the broken part get trapped in the expansion tank or get into the cooling system? Yes I did,,,,that happens a lot,,,,and you should be ok. Thanks for your response. What is procedure to change the expansion tank? Do I have to drain coolant from radiator first? Wont this cause a big mess? Thank you for clarifying. I’ve been told to replace the drain plug. But I usually reuse it. Do you have to replace the drain plug? Also I usually run the bleeding procedure twice when I drain the radiator. Is that enough? Hello Andreas, I have a 2012 F10 N55 and three weeks ago I topped off my radiator fluid because it was a little below low. I used blue pentosin coolant and mixed it with distilled water to the recommend mixture. It took about 3 full cups to get it back to full. I closed the cap and did the bleeding procedure first without the ac on and it ran for about 30 minutes with the water pump constantly cycling. I thought that was a little too long and did it with the ac on and the water pump still cycle for 30 minute. On both I to end the cycle by turning off my car. Now when driving my engine fans turns on and off and kicks on very loud. It sounds like a jet engine about to take off. If you could help me out if would appreciate it a lot. After you drove the car did you check the coolant level,,,if the coolant is still topped off I would perform the bleeding procedure again and make sure you see coolant spitting back in to the expansion tank with the cap off,,,,after you are done bleeding it again drive the car and see if it’s better sometimes they get a air pocket and they are hard to get out,,,,,if the problem is still there I would also check for any faults in the system because your waterpump might be malfunction once and a while causing the fan to go high speed,,,,maybe that why you lost some coolant in the first place. Thanks for replying so fast. Yes I recheck the coolant after driving it and it was still at max. I’ll try bleeding it with the cap off the expansion tank like you recommended. I really hope it’s not the waterpump. The car ran fine before the bleeding. No I believe I lost coolant because I had BMW replace my leaking oil filter gasket and they forgot to top off my coolant. I’ll keep you updated if this works tomorrow morning. Do you do the bleeding procedure with the bleeder screw and cap open or closed? I have an E90 328i if that matters. Thank you.